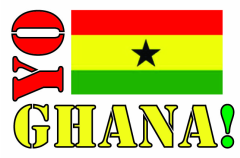 St. Paul Methodist - Yo Ghana! St. Paul Methodist School is one of two new schools Yo Ghana! started working with in Winneba in 2015. St. Paul Methodist is a private school with students who prove to be extremely interested in original research projects. This year, the school has 40 "JHS 3" students writing letters.